After playing 5 games, we have 2 wins, 2 loses and 1 tie. Last Saturday at Seaside we beat the league champs, Kingston 5-3. Probably our biggest win at Seaside in three years. Ed Duran pitched a strong and gutty complete game throwing 130 pitches. He struck out 8 and gave up 5 walks. We took advantage of some Kingston walks and errors and had a couple of timely hits to get our 5 runs. We ended the game with two web gems. In right field Nick Cotraro dove and caught a sinking line drive for the second out. For the last out Matt Faia went to his right and laid out to spear a ground ball and throw to first. We lost these games 13-3, and last night 7-0. In both games our pitching and defense let us down. And last night we managed only 2 hits vs Saugus at World Series Park. Ricky Spencer did hit a three run home run on Sunday vs the Phillies, and his roommate, Nick Menino pitched 2 scoreless innings vs Saugus last night. Lets hope we return to our winning form this Saturday at Seaside vs. Beverly. Jason Tarasuik, played briefly for us in our first season 3 years ago before injuring his arm. At 42 and not having played in the league since 2008 he still has something left in the tank. Last night in his first at bat on the first pitch he singled sharply to left field. It’s great to have the former Marblehead High coach with us. He has done a great job of getting into shape. Adrian Espinal is not only Ed Duran’s cousin, but an outstanding player. Adrian starred at Swampscott High School 2 years ago. He’s an infielder who has had hits in both of the games he has played. Thank you to my long time good friend, Jay Henderson, for his check I received this week. This season we have a new Team Photographer! Marblehead photographer Julie Gaunt has generously offered to take photos of our games and you will be seeing a lot of her work in the coming weeks. 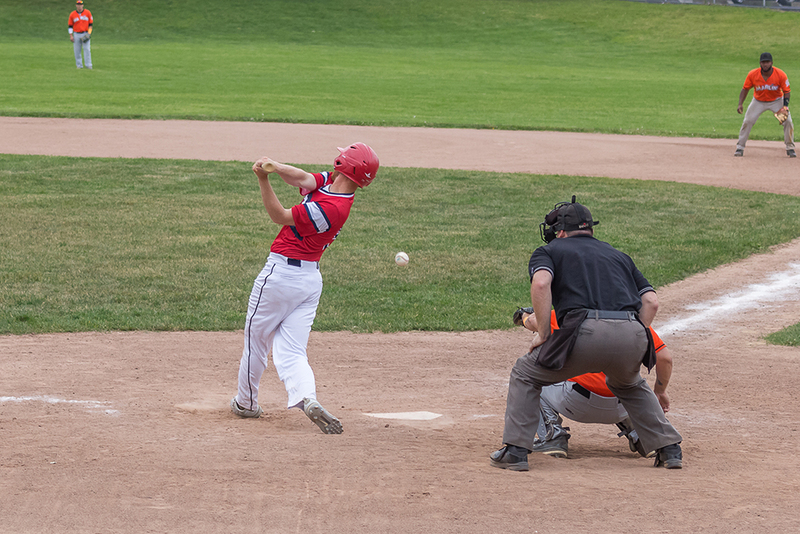 Here’s her shots from our recent game against the Manchester Marlins.